For the folks that really believed that Donald Trump was going to “build that wall, lock her up, and bomb the crap out of ISIS!” the next year or so is almost guaranteed to be filled with disappointment. Trump supporters may actually be just as disappointed as Obama supporters after he didn’t do any of the things he said he would in office. That’s the difference between populist politics and the campaign trail and the entirely different world of actually governing. For instance, the folks that voted for Trump might not be too pleased about the tax hike for all the extra federal spending on immigration enforcement. But with crime on the perceived rise and fewer homicides being solved than ever, it might not make too much sense for agencies to get suckered into doing work that no one’s paying them for. Additionally, politics is complicated. 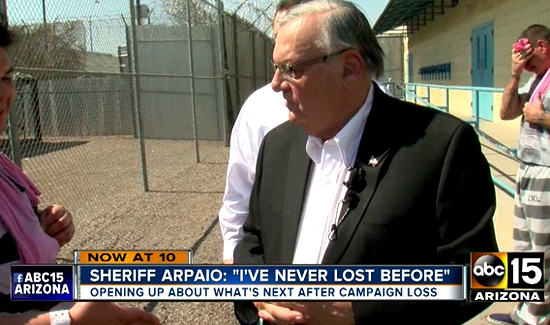 While Trump’s immigration focus played well on the campaign trail and was assuredly part of his appeal, the same cannot be said for the former sheriff in Maricopa County. It’s a little like the border wall. In Belmont, Massachusetts, it sounds great. In Texas they’ll tell you how the wall we’ve already wasted billions on is working. At any rate, LAPD Chief Charlie Beck is no dummy. He runs that police department and is very plain spoken about the cops being used by the feds to do their damn job. A job is something that someone pays someone to do. And there’s the rub. No new taxes right? My local police force no longer enforces traffic safety laws because they have “better things to do”. Reckless drivers are now prevalent and “accidents” are skyrocketing. Crime is Crime. It cascades and hurts us all.